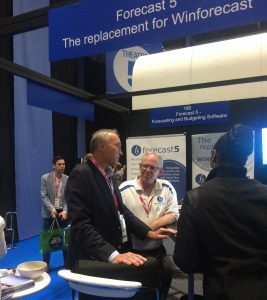 The Forecast 5 Guru, Geof Nightingale, will be in the UK for Accountex 2018 and is available for on-site demonstrations or Forecast 5 training workshops. Geof, a New Zealand chartered accountant, has been a software developer and distributor for more than two decades. 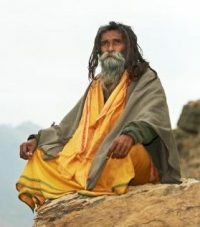 He was Sage’s Winforecast NZ national distributor for fifteen years and developed Forecast 5 as the replacement for Winforecast when Sage pulled the plug on its software. If you would like Geof to run a training session for you or your staff whilst he is in the UK – over the period from 15 to 25 May – please do give us a call. Incidentally, the chap at the top of the page isn’t Geof. Geof, in shirtsleaves here talking to guests at our stand at Accountex in 2017 is a golf-loving Kiwi, just back from watching the final day of the Masters in Augusta, Georgia! We will again be at Accountex and hope to see many of our clients at our stand 170.